The United States changed because of the dedicated work from Dr. Martin Luther King. 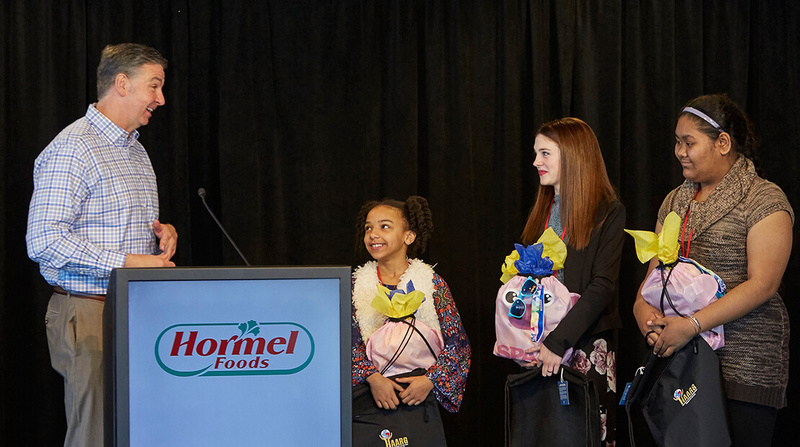 Today’s youth benefit from the lessons of equality that he preached, and Hormel Foods gave some of them a chance to share their thoughts on his impact. The MLK essay contest was started by the Hormel African American Resource Group seven years ago, and has expanded to include 25 different schools from around the country. This is the first time the top three winners were invited to a capstone ceremony held in the corporate office. They were asked to write an essay about what Dr. King means to them. Hormel selected the three winners out of 500 submissions.